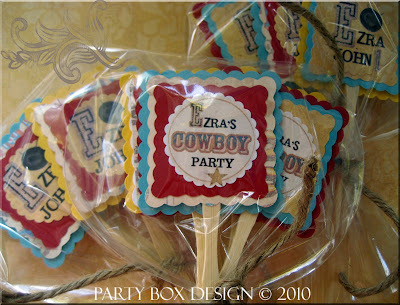 Ezra's Mommy contacted me and asked me to create some party decor for her son's western inspired birthday party. How cute is this theme, so perfect for a little boy's first birthday?!? 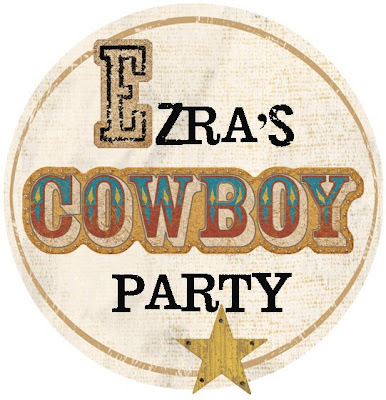 Envision hay bales, cow boy hats, Tex Mex menu... a totally rustic feel! I love it! 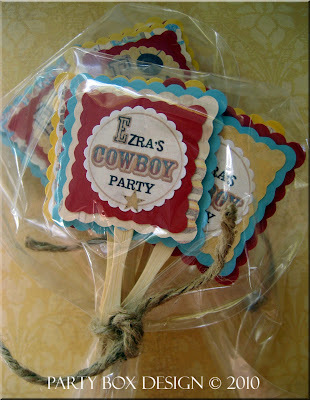 Great idea for a little boy's bday bash...love the confetti! 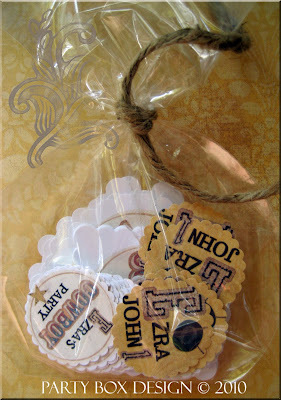 love the color choices & the jute ties-too cute! Super cute! love the design! OMG LOVE LOVE LOVE this! !